Today I went to the Australasian Quilt Convention (AQC) in Melbourne. I looked at a stunning quilt exhibition of quilts made by some very talented people. It was a lot of people so it was almost hard to move during the middle of the day. I listened to a couple of seminars and looked at a lot of cool and beautiful things. I didn’t do much shopping but I plan to go back on Saturday with my daughter. It will definitely be more shopping then. I have been sewing some since my last post too. 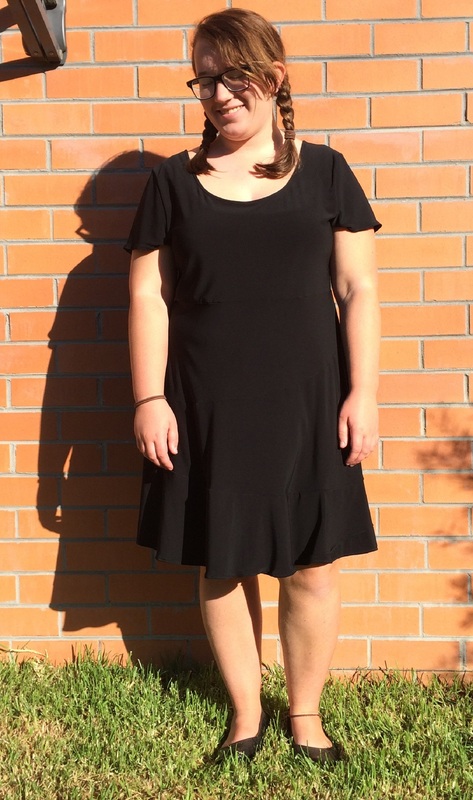 I made a black dress for my daughter, it’s for performing with the school choir. She had a hard time finding a dress in the shops and asked me to make one. 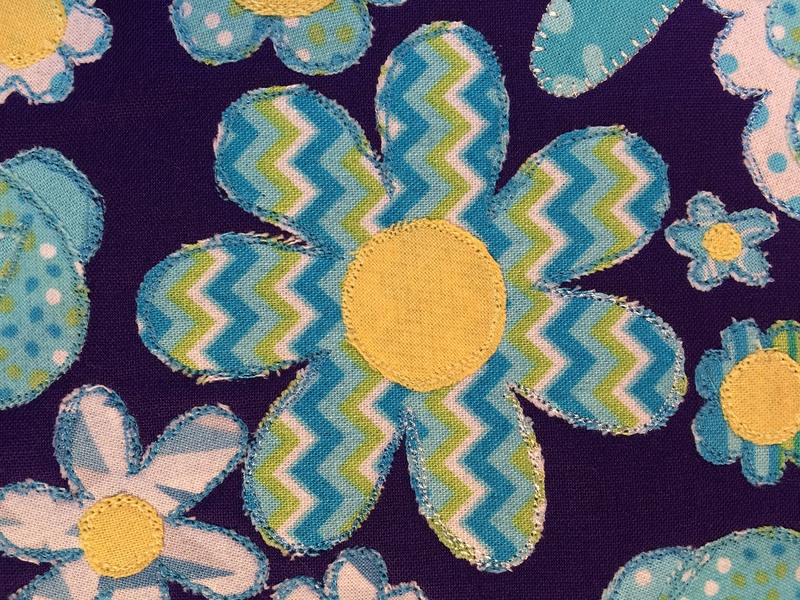 I used the Kwik Sew pattern K3873. It was a easy pattern to sew but took a while to cut out since the skirt is in for tiers. I have shortened both the bodice and the skirt tiers. I have also been working on my raw applique pillow project that I talked about in a previous post. It’s an older pattern called “Pretty In Pink” from Don’t Look Now by Kellie Wuhlfson. All the applique is finally done, there is some embroidery to do and to assemble it of course. It has been a good practice in free motion stitching, the stitching is a lot neater but could probably be even better. Next time I will use a better quality fusible web.